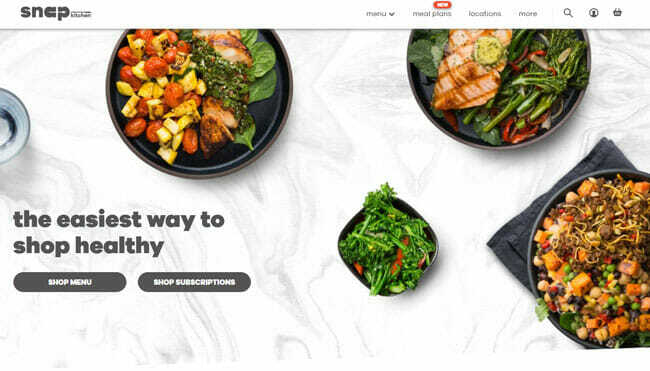 Snap Kitchen is a Texas-based meal delivery service that aims to make healthy eating effortless for busy individuals who have no time to cook. Since 2009, it has been providing professionally cooked comfort food, reimagined to provide all the nutrients you need without adding extra inches to your waistline. Its menu is rich, its meal plans suit a variety of dietary preferences and lifestyles, and ordering is perfectly easy and flexible. On the downside, the service’s delivery map is surprisingly small. Keep reading this Snap Kitchen review to discover whether it delivers to your area and whether it is the right choice for you. With Snap Kitchen, you get healthy meals and extras of your choice freshly prepared for you, portioned in accordance with your needs, and delivered to your doorstep or prepared for pickup in one of the company’s retail stores. You can choose from dozens of breakfasts, lunches, dinners, salads, soups, meal components, small bites, snacks, sweets, drinks, and pantry items, like sauces, supplements, and drink mixes. Depending on how you feel about commitments, you can order anything from the a la carte menu whenever you wish or you can opt for one of the 8 meal plans and save cash with a subscription. The meal plans available include Vegetarian, High Protein, Low Carb, Balance, Whole 30, Paleo, and Keto-Friendly plans, as well as the custom Build Your Own plan that you can fully adjust to your needs. If you choose to subscribe, you start by picking your desired meal plan and determining your calorie goal. Generally, you can choose to eat 1,200, 1,500 or 1,800 calories per day, based on your body type, weight loss aspirations, and physical activity. If you are not sure which option is right for you, you can make use of Snap Kitchen’s free Basal Metabolic Rate calculator and use the results for guidance. Then, you decide whether you want to get 3, 5 or 7 days of food per week. You choose the dayparts as well, including breakfast, lunch, dinner, snacks, and drinks. The selection of dishes in your order is completely up to you, although the service can pre-select the items for you if that works better for you. You can add or remove meals and modify your plan any way you wish to suit your goals. Deliveries are made once a week for 3-day plans, twice a week for 5-day plans, and 3 times a week for 7-day plans, so you always have fresh food on your table. At all times, you are free to make changes to your plan and menu, skip a week or cancel your subscription, straight through your Snap Kitchen account. However, if you want the changes to apply to your next shipment, be sure to make the desired modifications 2 days before your weekly start date. There are 2 aspects of Snap Kitchen that make this service stand out from the crowd. The first is the range of customization options available and the second is the diversity of its menu. As shown in the previous section of this Snap Kitchen review, you do not only get to choose whether you want to order with or without a subscription but you decide on everything in both scenarios. You can choose how often you get the food, you can set the desired daily calorie count, you can decide how many days of Snap Kitchen food you want to enjoy per week, you can handpick the meals and extras yourself, and you can modify your orders, skip weeks, and start or cancel your subscription whenever you want. Every aspect of your experience is up to you, which is not the case with many meal delivery services currently available. When it comes to the menu, it is as rich and varied as it gets. There are meals for every part of the day, there are extras to enjoy in between meals, and there are healthy drinks to boost your energy, metabolism, and immune system. Not only that, but you can choose from keto, Whole 30, and Paleo meals, vegetarian dishes, high-protein and low-carb dishes, and many more options for meat, seafood, and veggie lovers. Thus, a wide spectrum of healthy diets is covered, with something for virtually everyone. In short, Snap Kitchen has gone the extra mile to ensure a perfectly enjoyable ordering and dining experience and it has done a great job designing a menu that can satisfy your needs throughout the day, 7 days a week. Whenever you stop by, you can find nearly 300 items in Snap Kitchen’s online shop. There are about 70 breakfasts, lunches, and dinners on the menu, over a dozen of salads, soups, and dressings, a dozen of small bites to enjoy on the go, and more than 20 meal components including chef-prepared meat, poultry, and veg. If you want to take a bite in between meals, you can choose from nearly 60 snacks and a dozen sweets. To quench your thirst, there are more than 60 drinks. Finally, you can stop by the Pantry section and pick up any of over a dozen healthy cocoa and mushroom coffee mixes, hot sauces, collagen supplement packets, and more. As we mentioned earlier, the meals are inspired by comfort food favorites, but they are made of healthier ingredients that can help you get or stay slim and fit. 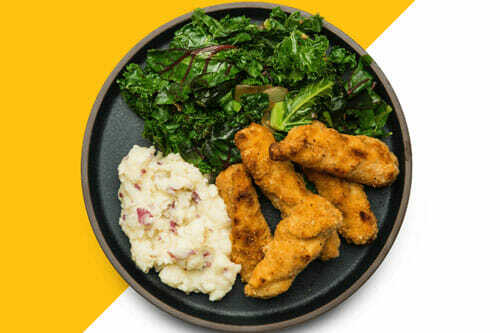 Thus, you can expect to enjoy your chicken tenders with turnip mash instead of potatoes and have almond butter and jam oatmeal for breakfast instead of a pb&j sandwich. We have to admit that we were a bit worried that the changes in ingredients would result in unfavorable changes in flavor, but we were happy to be wrong. The meals are surprisingly tasty and they are perfectly fresh, which is a big plus in our book. As far as the portions go, there are 3 options available, designed with different calorie goals in mind. The small portions range from 200 to 300 calories, the medium portions contain 300 to 400 calories while the large meals range from about 400 to 500 calories. Now that we have covered the basics, it is time to say a bit more about the 8 meal plans: Vegetarian, High Protein, Low Carb, Balance, Whole 30, Paleo, Keto-Friendly plans, and Build Your Own. The Vegetarian plan is not only meat- and fish-free, it is also designed to help veggie lovers enjoy a balanced diet, with carefully calculated ratios of proteins, carbs, and fats. The selection of menu items is wide, so the company’s vegetarian patrons get to enjoy both quality and variety. The High Protein plan is designed to help you burn fat and build muscle. The meals in this plan are higher in protein and calories and perfect for individuals who are physically active. 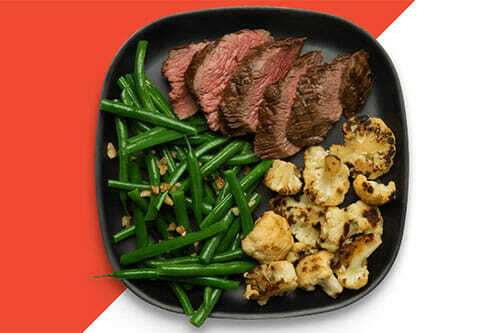 The Low Carb plan brings you meals that can help curb cravings and enhance your weight loss results. The meals contain plenty of good fats and lean proteins and a minimum of carbohydrates. The Balance plan is designed for people who are happy with their weight but want to gain more energy without gaining more pounds. 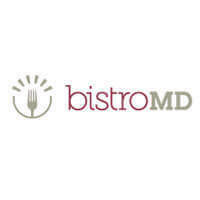 It brings you chef-crafted, dietitian-designed meals that ensure a well-balanced, healthy diet. The Whole 30 plan can help you effortlessly go through a 30-day cleanse and remove all the foods that are preventing you from getting into top shape. It includes meals that focus on whole foods and contain no grains, soy, sugar or legumes. 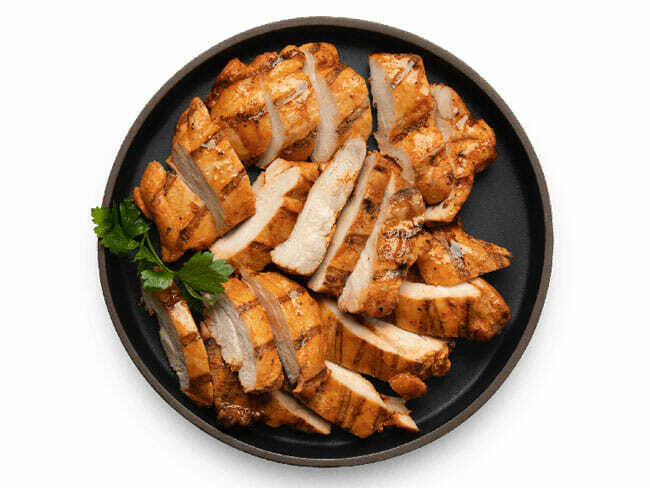 The Paleo plan follows the rules of the Paleolithic diet, which means that you get to enjoy the benefits of clean eating with meals rich in healthy meat, fish, and veg. The dishes available with this plan contain no dairy, grains or processed foods. The Keto-Friendly plan is designed to help you lose weight, improve your blood sugar, and feel more energized. The meals within this plan are low in carbs, so you get to consume up to 30 grams of net carbs per day. Finally, the Build Your Own plan is designed for individuals who want to receive a completely customized combination of meals and extras in their orders. That means that with this plan, you can enjoy keto meals one day, eat Paleo meals the next, and reap the benefits of all the popular healthy diets combined. All the items in the Snap Kitchen online shop are individually priced and the value of your orders depends on what you choose, regardless of whether you opt for a la carte ordering or a subscription. Here is a quick overview of the prices by item type. Snap Kitchen breakfasts normally cost between $1.99 and $7.99 and the prices of lunches and dinners range from $6.99 to $12.99. Small bites cost between $2.99 and $4.99 and the same goes for meal components. Salads, soups, and dressings start at $4.99. The prices of snacks range from $0.99 to $2.99 and the sweets cost between $1.99 and $2.99. The drinks cost between $0.99 and $5.99 while the prices of pantry items range from $1.29, which is the price of a packet of mushroom coffee mix, to $34, which is how much you pay for 20 servings of a collagen peptide supplement. If you are ordering a la carte, you pay the standard item price. However, if you get a subscription, you get a 5% discount on weekly orders worth $25 to $125 and a 10% discount on weekly orders worth $125 or more. Keep in mind that the minimum order for subscriptions is $25 per week. Unfortunately, Snap Kitchen has a severely limited delivery area. At the moment, it exclusively delivers to addresses within Texas and Pennsylvania. If you live in one of these two states, you can pick up the food yourself in one of the 30+ retail locations in Austin, Dallas, Houston, and Philadelphia. Depending on your preferences, you can opt for in-store or curbside pickup. To make sure Snap Kitchen meets all your standards and expectations, it is important to know its biggest advantages and disadvantages. With a short overview of its pros and cons, you can easily decide if Snap Kitchen is the right meal delivery service for you. 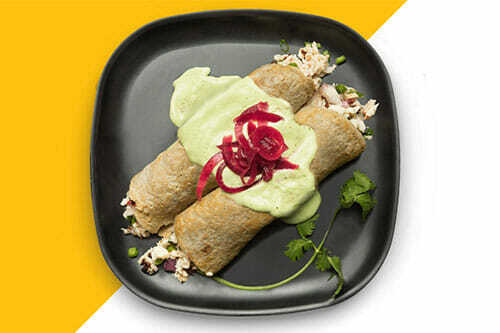 With Snap Kitchen, you get delicious meals prepared by pro chefs at affordable prices. To find out what kinds of delights you will receive in your delivery, we have chosen a couple of sample dishes that accurately represents its offer and can help you decide if it is the right service for you. 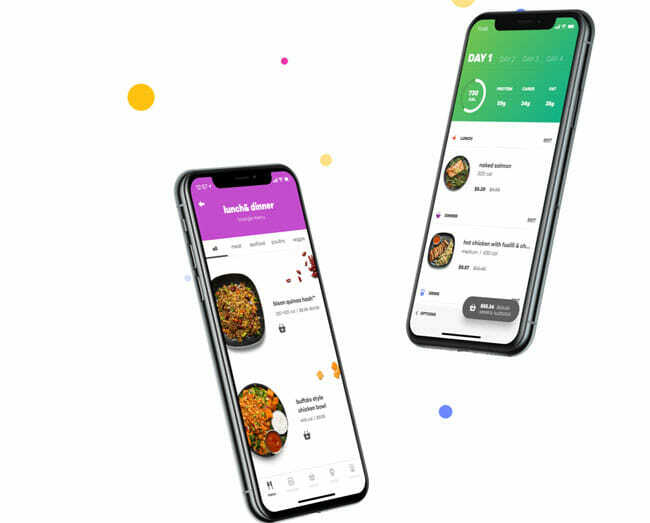 Snap Kitchen is an all-in-one nutrition solution that provides fresh, healthy chef-crafted meals plus all the additional items you need to satisfy your appetite, keep your body energized, and enjoy a healthy diet. Its meals are tasty and satisfying, its menu is impressively large and diverse, and its subscriptions are unbelievably flexible. The a la carte ordering option and free shipping just add to the great overall impression. However, the service’s biggest downside is that it is exclusively available in Texas and Pennsylvania. We hope that the company will expand its delivery area at some point since it has a lot to offer to hungry home diners around the country. 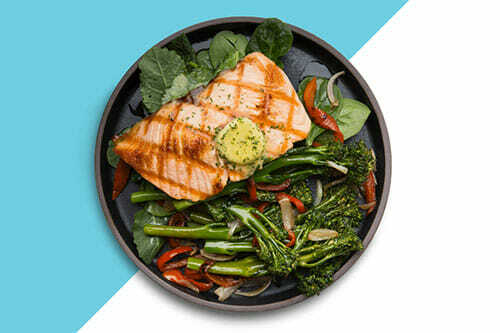 Snap Kitchen is a meal delivery service whose customers receive fresh and healthy meals up to 3 times a week. It has an impressively rich and diverse menu, offers many customization options, and operates 30+ retail stores in Texas and Philadelphia. What are the top Snap Kitchen competitors? Snap Kitchen’s top competitors are meal deliveries that offer a vast range of options for special dietary needs. These include some of the best healthy meal delivery services like Trifecta Nutrition and Home Bistro. Who is Snap Kitchen’s owner? Snap Kitchen was founded by Bradley Radoff and Martin Berson in 2010. How much does Snap Kitchen juice cleanse cost? Snap Kitchen juices cost from $2.99 to $6.99 per bottle. How long does food from Snap Kitchen last for? Every Snap Kitchen meal has an expiration date specified on the label. The company states that its meals and snacks can last up to 5 days in your refrigerator. Seafood items should be eaten first as they have a shorter recommended shelf life. Does Snap Kitchen change its meals? How often? Snap Kitchen updates its menu every 4 – 8 weeks by removing some of the items and adding new dishes. Subscribers are notified about all relevant menu updates so that they can make changes to their weekly menu on time. How many Snap Kitchen locations are there? Snap Kitchen has 35 retail locations. In Texas, it has 7 locations in Austin, 10 in the Dallas-Fort Worth metroplex, and 11 in Houston. In Philadelphia, you can choose from 7 locations across the city. Our ratings are the result of an objective and independent evaluation of Snap Kitchen, generating the final rating that reflects the overall quality of the company. Ratings may change as the service changes. Snap Kitchen customer rating based on 2 customer reviews. We found 0 verified Snap Kitchen discounts for April, 2019. If you like Snap Kitchen but aren’t sure whether they are truly the ideal choice for you, you may want to take a look at our comparisons below to discover if one of their competitors is more suitable for you.